EarlyBird Electric is a locally-owned and operated electrical repair and installation service in the Minneapolis-St. Paul metro area. We specialize in providing reliable, expert same-day electrical services to all St. Paul residents. Whenever a St. Paul resident calls EarlyBird, they get guaranteed same-day service at a pre-determined, flat price they can afford. Every time. 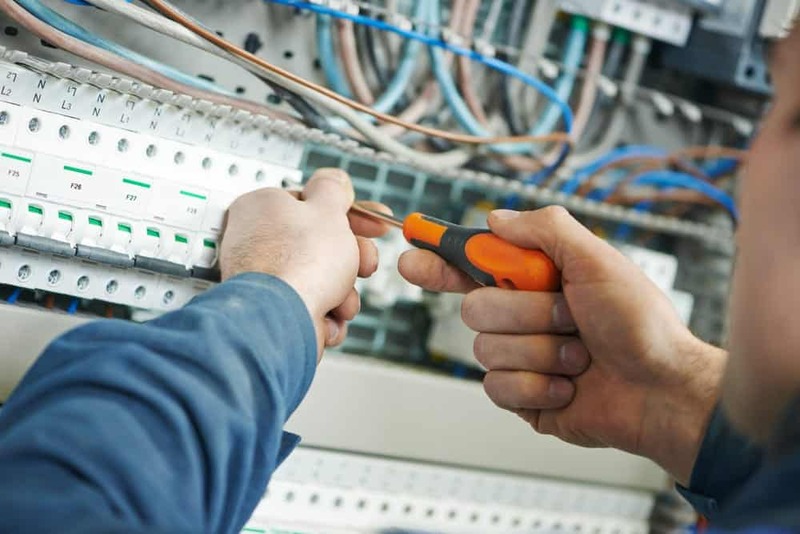 Our experts have the tools and knowhow to handle all electrical repair, maintenance, and installation jobs. No job is too big or too small. No matter what your electrical problem, St. Paul’s solution is EarlyBird Electric. EarlyBird is equipped to handle all manner of residential electrical repair needs. If you have an electrical emergency, you can call us and we’ll handle it right away. Our licensed technicians make all our repairs up to the St. Paul electrical code to ensure your home’s safety. When there’s an electrical problem in your home, it’s absolutely crucial that you have it professionally repaired immediately. Call us right away for a safe repair you can trust. EarlyBird is prepared to coordinate a repair time that works best for you. Whether you need us right away or you need to fit us into a busy schedule, we’re happy to cooperate. You can always call or schedule your service call online. At EarlyBird, we’re striving to be St. Paul’s solution to all electrical concerns, not just emergencies. Along with our repair, maintenance, and inspection services, our technicians expertly install all home electrical fixtures and appliances. Whether you need a new fixture installed or an old one replaced, calling a pro is the safest solution. EarlyBird wants to be a professional service that our community in the St. Paul-Minneapolis metro area can trust. We developed our Honor Code to earn that trust. Whenever a customer calls EarlyBird, we pledge to treat their home and time with the respect they deserve. Same-Day Service: When a St. Paul resident requests service, they get it the same day or they don’t pay a travel fee. No Surprise Pricing: You will know what you will before our technician starts working. Quality Work: The repairs and installations we make are up to code, safe, and effective. Licensed Experts: All EarlyBird electricians are local experts who passed a background check. Next time you have any electrical problem, call or schedule with EarlyBird right away. We’re excited to prove that we’re St. Paul’s solution to electrical problems, big and small.